I grew up in New Jersey. 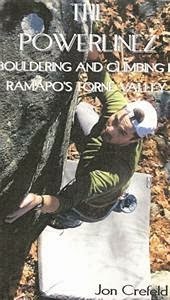 When I started rock climbing I visited places like Watchung, Allamuchy, and Wanaque. 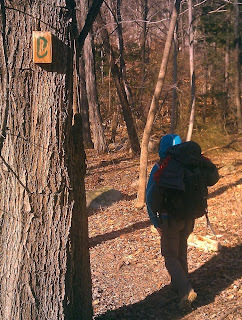 As soon as I discovered the Gunks, I didn't look back. During college I climbed in the Dacks on weekends, in the Gunks on long weekends, and explored other areas during the summer and winter breaks. Most of my family is still living in New Jersey, and I like seeing them when I have the chance. To be honest, though, I don't really like going to New Jersey for too many other reasons. It's a busy place. Half the people there drive like real assholes. The Ramapo Valley, along the border of New York and New Jersey, is a region of small hills and valleys. There are boulders and crags in many places throughout this valley. During my youth, as I drove through this area, I was convinced there must be climbing there. 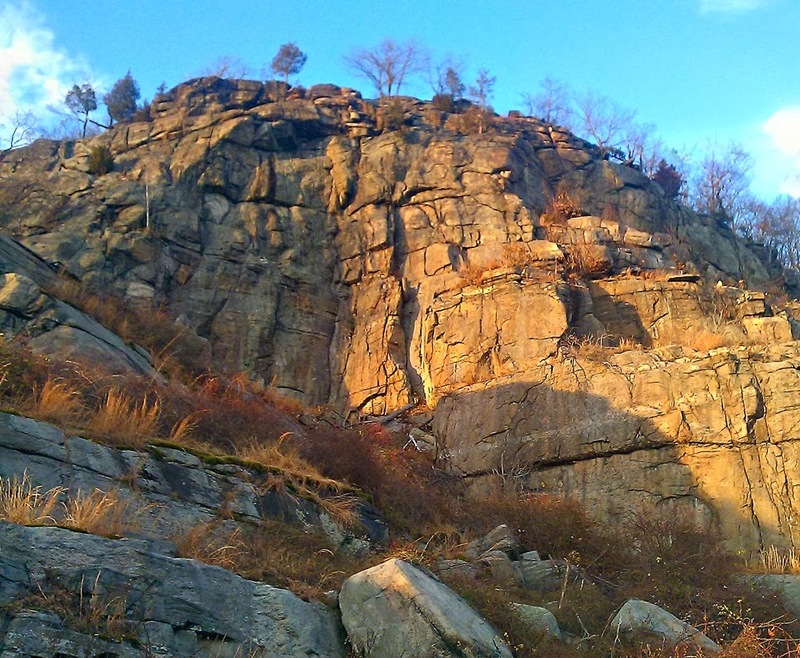 You can see half a dozen cliffs along the highway in the Ramapo Valley on the way to the Shawangunks. 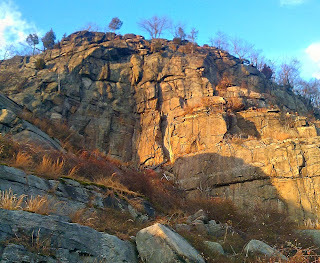 On Sunday, after visiting family in New Jersey for the second weekend in a row, I visited one of several crags in the Ramapo Valley. We went to the spot climbers have begun to call Powerlinez and climbed at the Tower Wall. I'm not going to call this spot scenic. There are huge high-tension wires buzzing overhead, there's a landfill across the street from the parking and you can always hear cars and trucks rumbling by on the New York State Thruway at the bottom of the valley. The climbing was fun though. The rock is a heavily metamorphosed granitic gneiss which climbs like granite. There are lots of horizontal and vertical crack systems and the rock has good friction. The boulders below are beautiful and there's quite a bit of exploring that can be done here. One of the best things about the Powerlinez is that it's south-facing, making it a warm spot all year long. Pretty much any sunny winter day, not matter how cold, will be good for climbing there. The Ramapo Valley, only a 40-minute ride from NYC is bound to become popular day trip for climbers looking to get out of the city. More traffic will clean the routes up and make the rock feel more solid.